Winter has truly visited the FS2 classroom. Our theme this term is Winter Wonderland and the classroom has been transformed to replicate a winter scene. In Literacy we are learning all about winter and we are going on a winter walk to the woods to find out what winter is like in Dinnington, UK. We will be able to use this information to compare winter in the UK with winter in the Arctic. We will be writing a postcard to our friend Peter the Polar Bear who lives in the Arctic. He has already written to us to tell us what winter is like there and to ask what winter is like in Dinnington. We will use the information gathered from our walk to write back to Peter and his friend Percy the Penguin. Outside we have been playing tag. One of us has been the polar and the rest of the fishes, who Peter has to catch. To make the game harder we put some icebergs around the outside area. One of the icebergs is really big and this is our safe iceberg. On our travels around the Arctic waters we discovered a hidden shipwreck. Later this term we will be learning more about the Arctic, what it is like there, which animals reside there, what the different seasons are like. Through P4C, we will be exploring questions like "Would it be a good thing if there were snowmen in the summer?" "Would you prefer to have everything made from ice or everything made from snow?" 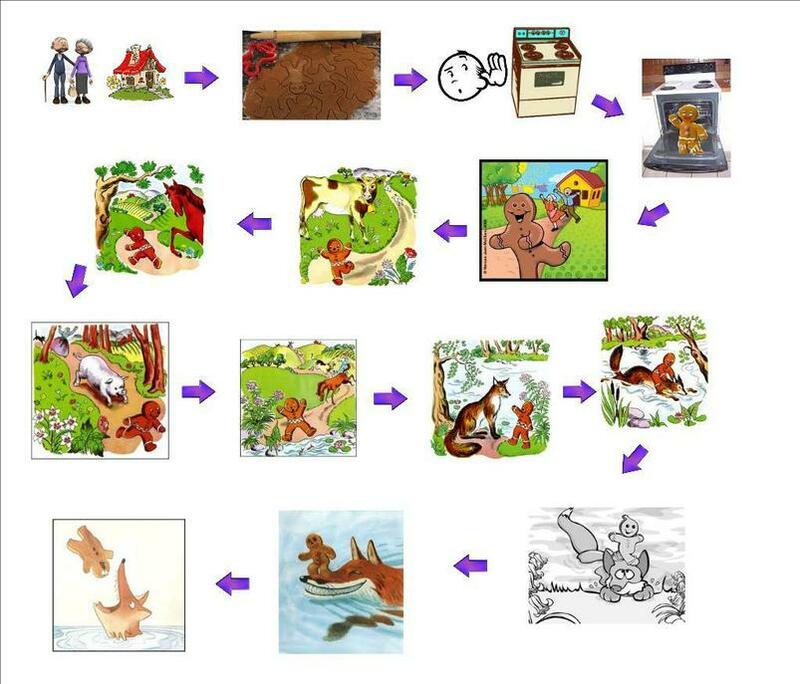 After the half term we will be learning the traditional tale of The Gingerbread Man. This is a classic winter tale. 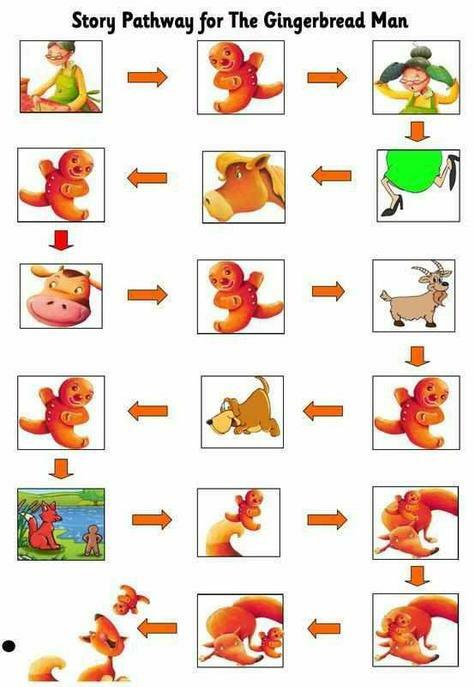 Below is just one version of The Gingerbread Man that you can read at home. "Run, run, as fast as you can! You can't catch me! I'm the Gingerbread Man!" And so the Gingerbread Man ran and ran. While he running, he met a cow. "Moo," said the cow. "You look very fine! Fine enough to eat!" And the cow started to chase to little man. "I ran away from an old woman. I ran away from an old man, and I can run away from you! I can!" The cow ran after the Gingerbread Man, but she could not catch him. The Gingerbread Man kept running, and soon he met a horse. "N..e..i..g..h...Neigh," said the horse. "You look might tasty! I think that I would like to eat you." "But you can't!" said the Gingerbread Man. "I ran away from an old woman. I ran away from an old man. I ran away from a cow, and I can run away from you! I can!" The horse ran after the Gingerbread Man, but he could not catch him. The Gingerbread Man ran and ran, laughing and singing. While he ran, he met a chicken. "Cackle, cackle!" said the chicken. "You look fine enough to peck for dinner. I'm going to eat you, Mr. Gingerbread Man!" But the Gingerbread Man just laughed. "I ran away from an old woman. I ran away from an old man. I ran away from a cow. I ran away from a horse, and I can run away from you! I can!" The chicken ran after the Gingerbread Man, but she could not catch him. The Gingerbread Man was proud that he could run so fast. "Nobody can catch me," he thought. So he kept on running until he met a fox. He just had to tell the fox how he ran faster than all the others. "Mr. Fox," he said, "As tasty as I appear to be. I cannot let you catch and eat me. I ran away from an old woman. I ran away from an old man. I ran away from a cow. I ran away from a horse. I ran away from a chicken, and I can run away from you! I can!" But Mr. Fox did not seem to care. "Why would I want to bother you?" asked Mr. Fox. "You don't even look that tasty. No, young man, I don't want to eat you at all." The Gingerbread Man was so relieved. "Well, indeed, Mr. Fox," said the Gingerbread Man. "If you don't mind, I think I'll take a little rest here." So the Gingerbread Man stopped running and stood still. And right when he stood still...SNAP! went Mr. Fox's jaws right into the Gingerbread Man until he was gone. "He was very tasty after all," thought the fox.